CHARLOTTE, N.C. (ANS, June 26, 2016) — Anne Graham Lotz, daughter of evangelist Billy Graham, says her father is doing well, writes Caitlin Burke on www.cbn.com. In an interview with CBN News she says he’s still got that strong, familiar quality to his voice and piercing blue eyes. “I know God’s holding him for a purpose, I don’t know what the purpose is but he’s content, he doesn’t have the death wish. He knows God has him here for a reason,” said Lotz. 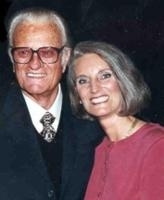 Photo captions: 1) Billy Graham with his daughter, Anne Graham Lotz. 2) Michael Ireland. 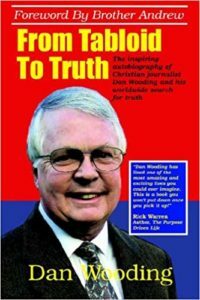 About the writer: Michael Ireland is a volunteer internet journalist serving as Senior Correspondent for the ASSIST News Service, as well as an Ordained Minister who has served with ASSIST Ministries and written for ASSIST News Service (www.assistnews.net) since its beginning in 1989. He has reported for ANS from Jamaica, Mexico, Nicaragua, Israel, Jordan, China, and Russia.